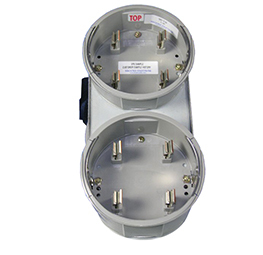 Designed so that twin sockets are connected in series, these adapters provide a means of connecting a variety of test, survey, and control devices in series with the customer’s billing meter. Vertical (V) or Horizontal (H) configuration. Co-Generation models accurately record power flow between the utility company and independent power producer. 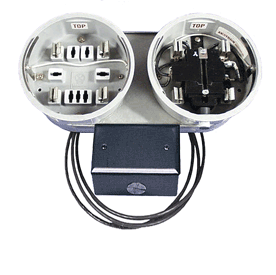 This dual meter adapter is used in instances where customer generation such as wind or solar is present. The primary meter measures electricity used from the utility, while the other meter measures energy either generated, or returned. Note: both meters must have detents. 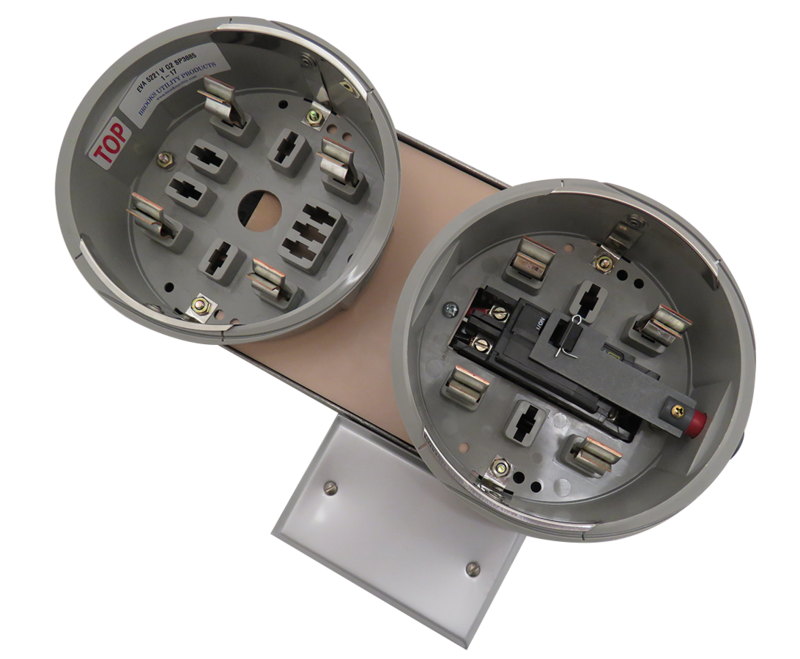 The ConnectDER™ provides a safe UL-listed interconnection method while reducing installation costs. 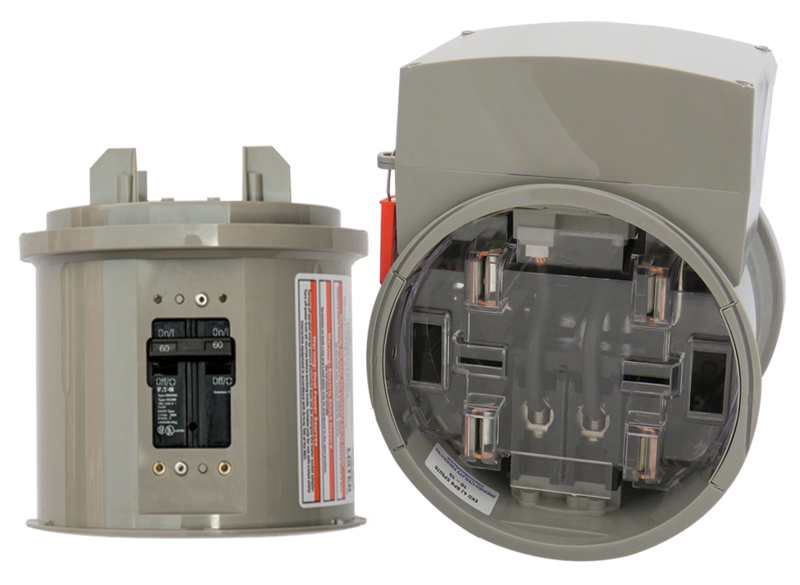 Features an integrated, resettable 40 Amp circuit breaker, dead-front safety shield, and service tag out capable junction box with four-terminal DER connections. Compatible with ring or ringless-type meter sockets. The Electric Vehicle recharge adapter is an ideal solution for powering of electric vehicles.